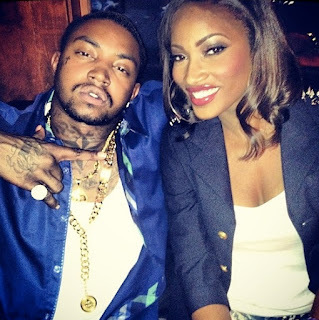 Lil Scrappy has been going off on his Instagram and Twitter with claims that his baby mama, Erica Dixon, was keeping him away from his daughter. Despite not paying child support, Erica and Scrappy still had somewhat of a decent relationship following the end of their engagement, but it looks like things have taken a bad turn once again. But now, it all finally makes sense why the Love & Hip Hop Atlanta star was keeping their daughter, Emani, away from him. Sources report that on July 20, Erica filed a restraining order against Scrappy with claims that he committed family violence. 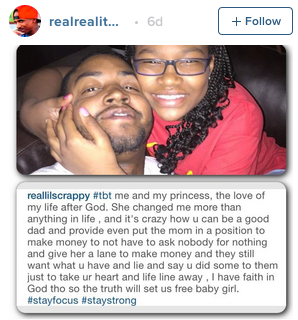 The courts granted a temporary restraining order until August 12 when Scrappy is set to appear before the judge. It is at that time when the judge will decide if the temporary order will turn permanent. Damn, Scrappy. You done messed up now!